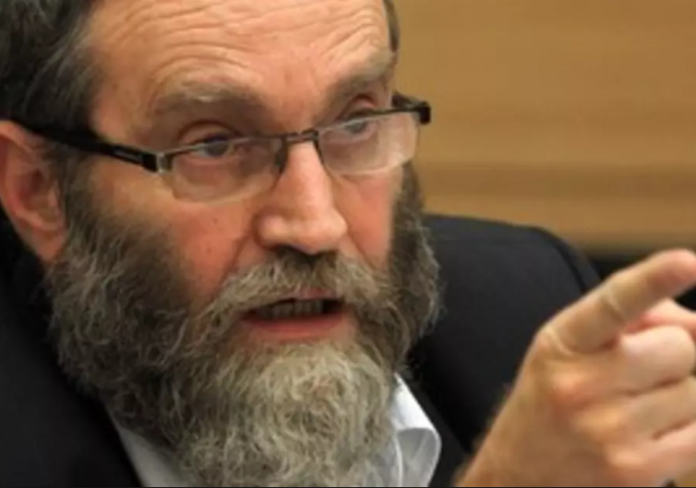 In an interview given by Degel Hatorah party chairman, MK Moshe Gafne, the seasoned chareidi politician did not rule out entering a coalition headed by Benny Gantz, who heads the new Chosen Yisrael party. Gafne wisely added however that the party’s “natural partner is Prime Minister Binyamin Netanyahu”. “This is a possibility, but it will not occur. One may not declare Gantz as being ‘pasul’ and that we will not partner with him, but we are going with Netanyahu. His (Gantz’s) statements in his address were good. These things will have to be clarified down the road. We will only go with him if it is clear that the [religious] status quo is maintained. Gafne on Monday morning, February 4, 2019, spoke with Kol Chai Radio, adding “If Benny Gantz assembles the coalition government, we will clarify to him that we will not join a coalition with Yesh Atid. I however estimate that Netanyahu will win and the right-wing will assemble a government. Netanyahu will beat the indictment”. Gafne added, “A man comes along who is perceived as logical as he was IDF Chief of Staff, and he is more or less a centrist. But nevertheless, he will not succeed in toppling Netanyahu. Netanyahu has been prime minister for many years, and he has a wealth of experience. If it was possible to oust him via a normal process, then there would not be so many investigations against him”. Gafne added that due to the continued Chilul Shabbos on Tel Aviv’s Yehudit Bridge, it should be named “Antiochus and not Yehudit” as he put it. “The State of Israel is democratic and Jewish and to compel workers to work on the bridge on Shabbos is not Jewish nor democratic” Gafne added. In an interview with Galei Tzahal, Gafne referred to the possibility of a chareidi union with Shas and said that the issue is still in negotiations, but he fears that the move will harm their power. “Elections are not enough if you are nice and beautiful, unless you bring the public and get his trust. We have to examine things in a practical and not ideological way so that we do not get to a situation where votes are lost, “he said.